Dr. F. King Alexander was named the president of Louisiana State University in 2013. Prior to this appointment, Dr. Alexander was president of California State University, Long Beach (2005-2013) one of the nation’s largest public universities located in southern California. During his more than seven-year tenure at California State University, Long Beach, Dr. Alexander was twice named the California State University Student Association (CSSA) “President of the Year,” which represents all 23 California State Universities and its over 440,000 students. Prior to becoming president of California State University, Long Beach, Dr. Alexander was president of Murray State University in Kentucky (2001-2005) and was a faculty member at the University of Illinois, Champaign-Urbana, where he was the director of the graduate higher education program. A Kentucky native who grew up in north Florida, Dr. Alexander received his Ph. D. from the University of Wisconsin-Madison in higher education administration with a focus on finance and educational policy analysis, and a Master of Science degree from the University of Oxford, Oxford, England in comparative educational studies. As a teacher and administrator, Dr. Alexander has received many honors, including the University of Wisconsin- Madison School of Education Alumni Achievement Award (2002) and has research university faculty affiliations at the University of Wisconsin-Madison Center for the Study of Postsecondary Education (WISCAPE) and Cornell University Higher Education Research Institute (CHERI). Dr. Alexander also has been asked to represent public higher education colleges and universities on numerous occasions to the United State Congress on issues of college affordability, student indebtedness, and institutional efficiency and effectiveness in efforts to address many of the growing challenges facing American higher education. Due to his national recognition and involvement on higher education issues, Dr. Alexander has served on numerous U.S. higher education and statewide organizational leadership boards where he remains very active. Dr. Alexander and his wife, Shenette, have three children: Kylie, Savannah and Madison. The Board of Supervisors of Louisiana State University and Agricultural and Mechanical College serves as the management board for the Louisiana State University System. The Board is composed of 16 members who serve overlapping terms of six years. Two members are appointed from each congressional district and one member from the state at large. As provided by the Louisiana Constitution, the Board also has a student member who serves a one-year term. 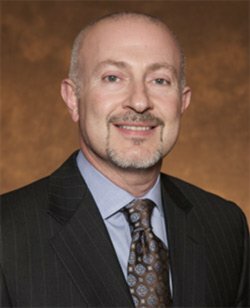 G. E. Ghali, DDS MD FACS, FRCS (Ed) was appointed February 1, 2016 by LSU President F. King Alexander as the interim chancellor of LSU Health Shreveport. He has served as Professor and Chairman of the Department of Oral & Maxillofacial Surgery at the Health Sciences Center since 2004 and continues in that role. Dr. Ghali holds the Jack W. Gamble Chair in Oral & Maxillofacial Surgery and is director of the cleft and craniofacial surgery fellowship program. He is also the senior partner in WK Oral and Maxillofacial Surgery Institute. He earned his dentistry degree from Baylor College of Dentistry, Dallas and his MD degree from LSU School of Medicine, Shreveport , serving an internship in general surgery at the University of Texas Southwestern Medical Center, Parkland Memorial Hospital, Dallas and an oral and maxillofacial surgery residency at the same institution. He held a fellowship in head and neck oncologic surgery at Oregon Health Sciences University, Legacy Emanuel Hospital in Portland, joining the LSU Health Shreveport in 1993 as a Clinical Assistant Professor, in the Department of Surgery. In 2015, he was selected for Fellowship ad hominem into the Royal College of Surgeons of Edinburgh, one of the oldest surgical organizations in the world. Dr. Ghali and his wife, Hope, have four children. The family lives in Shreveport. Malcolm W. Feist Endowed Chair in Diabetes - Sushil Jain, Ph.D.
E. Earle Dilworth, M.D. Endowed Chair in Obstetrics and Gynecology - Lynn J. Groome, M.D. Jack W. Gamble, M.D. Endowed Chair in Oral and Maxillofacial Surgery - G.E. Ghali, D.D.S., M.D. John C. McDonald, M.D. Endowed Chair in Surgery - Benjamin Li, M.D. Jack W. Pou, M.D. Endowed Chair in Otolaryngology and Head and Neck Surgery - Frederick Stucker, M.D. Willis-Knighton Medical Center Endowed Chair in Molecular Biology - Dennis J. O’Callaghan, Ph.D.
Albertson’s Distinguished Professorship in Allied Health Sciences - Mary Pannbacker, Ph.D.
James A. Ardoin, M.D. Memorial Professorship in OB/GYN - Rose Brouillette, M.D. H. Whitney Boggs, Jr., M.D. Endowed Professorship in Colon and Rectal Surgery - Philip Cole, M.D. Randy Bryn, M.D. Endowed Professorship in Pulmonary - D. Keith Payne, M.D. Edward J. Crawford, Jr., M.D. Endowed Professorship in GYN Surgery - James Unger, M.D. Edward J. Crawford, Jr., M.D. Endowed Professorship in OB/GYN Continuing Education - Gary Brooks, M.D. Edward J. Crawford, Jr., M.D. Endowed Professorship in OB/GYN Faculty Enhancement - Steve London, M.D. Edward J. Crawford, Jr., M.D. Endowed Professorship in OB/GYN Oncology Continuing Education - Destin Black, M.D. Edward J. Crawford, Jr., M.D. Endowed Professorship in OB/GYN Reproductive Endocrinology - David Vandermolen, M.D. Edward J. Crawford, Jr., M.D. Endowed Professorship in OB/GYN Resident Education Enhancement - James Unger, M.D. Edward J. Crawford, Jr., M.D. Endowed Professorship in OB/GYN Resident Recruitment - Rose Brouillette, M.D. Edward J. Crawford, Jr., M.D. Endowed Professorship in OB/GYN Technology Enhancement - Rose Brouillette, M.D. Joe E. Holoubek, M.D. Endowed Professorship in Medicine - Pratrap Reddy, M.D. George Khoury and Donald Mack, M.D. Endowed Professorship in Pediatric Oncology - Majed Jeroudi, M.D. Charles D. Knight, Sr., M.D. Endowed Professorship in General Surgery - Quyen Chu, M.D. Mary Louise and Ben Levy Endowed Professorship in Neurosurgery - Anil Nanda, M.D. Donald Mack, M.D. Endowed Professorship in Pediatric Oncology - Majed Jeroudi, M.D. Joanna Gunning Magale Professorship in Neurology - Stephen Jaffe, M.D. W.R. Matthews, M.D. Professorship in Anatomical Pathology - James Cotelingam, M.D. Edward and Frieda Green Professorship in Surgical Oncology - Roger Kim, M.D. Brad and Kay McPherson Professorship in Child Psychiatry - Rita Horton, M.D. Thomas Norris, M.D. Professorship in Orthopaedic Resident Support - Richard E. McCall, M.D. Y.K. Reddy, M.D. Professorship in Allergy & Immunology - Sami Bahna, M.D. Dr. Bipin and Dr. Mrunalini (Mina) Shah Professorship in Anesthesiology Education Enhancement - Ashok Rao, M.D. Albert Sklar Endowed Professorship in Surgery - F. Dean Griffen, M.D. Albert G. and Harriet G. Smith Endowed Professorship in Pathology - Guillermo Herrera, M.D. Eugene St. Martin, M.D. Endowed Professorship in Urology - John A. Mata, M.D. Burdette E. Trichel, M.D. Endowed Professorship in Urology - Dennis Venable, M.D. J. Woodfin Wilson, M.D. Endowed Professorship in Internal Medicine - Gunjan Kahlon, M.D. Robert E. Wolf, M.D., Ph.D., Professorship in Rheumatology - Samina Hayat, M.D. Selber Endowed Professorship in Endocrinology - Steven Levine, M.D. Dr. Mingyu Ding Memorial Endowed Professorship in Microbiology - Lindsey Hutt-Fletcher, Ph.D.
Edward and Freda Green Endowed Professorship for Oral & Maxillofacial Surgery - David Kim, M.D., D.D.S. Dr. George and Sandra Bakowski Foundation Endowed Professorship in Aero Digestive Malignancies - Glenn Mills, M.D. Nancy Jane Sentell Seale Professorship for Cancer Palliative Care - Jay Marion, M.D. Edna Sherling Boatright Professorship in Cancer Care - Gary Von Burton, M.D. Full-time members of the faculty have the same academic status as members of the faculty of other institutions of The LSU System. The four faculty academic levels are, in the ascending order of their rank: Instructor, Assistant Professor, Associate Professor and Professor. Full-time academic personnel of the Health Sciences Center whose primary role is related to a clinical setting but who do not hold tenure at the rank indicated are designated by the word “Clinical” following their academic rank. Full-time academic personnel of the Health Sciences Center whose primary role is related to a research setting but who do not hold tenure at the rank indicated are designated by the word “Research” following their academic rank. Part-time academic personnel whose primary role is related to a clinical setting are designated by the word “Clinical” preceding their academic rank. Part-time academic personnel whose primary role is related to a non-clinical setting are designated by the words “Part-time” following their academic rank. Faculty primarily involved in activity outside of The LSU System are designated by the term “Adjunct”. Retired faculty members may be designated by the term “Emeritus”. The term “Visiting” indicates a courtesy title held by a visiting full-time faculty member. The title “Special Lecturer” is authorized and limited to part-time appointments without rank or designation and is restricted to specialists and professional people whose primary occupation is the practice of their profession. Boyd Professorships, authorized by the LSU Board of Supervisors in 1952, are The LSU System’s highest designated professorial rank, awarded only to faculty scholar-researchers who have attained singular international recognition in their respective academic disciplines. The Professorships honor brothers who were presidents of The LSU System, David French Boyd (1865-1880) (1884-1886) and Thomas Duckett Boyd (1896-1927). D. Neil Granger, Ph.D., Boyd Professor of Molecular and Cellular Physiology; May 29, 1998. Dennis J. O’Callaghan, Ph.D., Boyd Professor of Microbiology and Immunology; April 19, 2002. Adrian J. Dunn, Ph.D., Boyd Professor of Pharmacology, Toxicology and Neuroscience; February 21, 2003. Matthew B. Grisham, Ph.D., Boyd Professor of Molecular and Cellular Physiology; April 30, 2004.